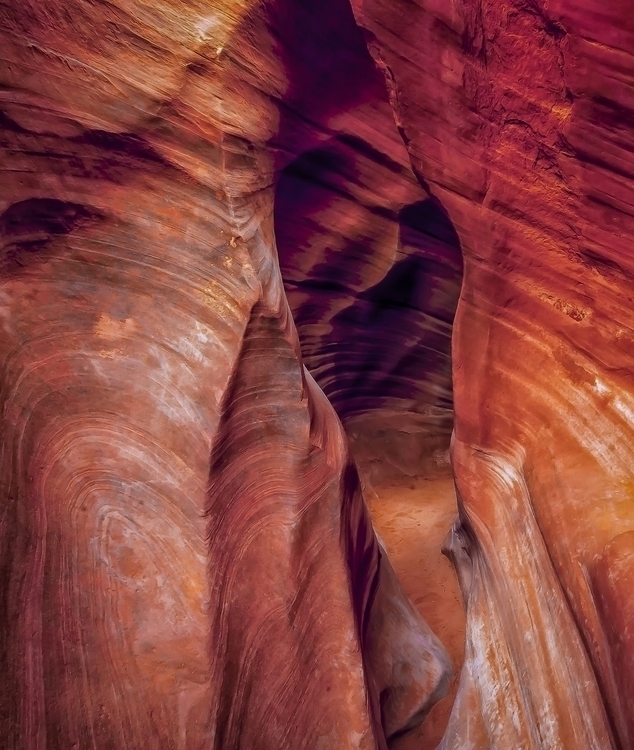 One of the twists in the Peek A Boo slot in Escalante. Organic swirls and black and white strata, like it's popular neighbor, Zebra slot. Off the beaten track but very well-traveled, at least the visitors here are appreciative of their environment. This was an incredible trip down south.